The Flow has the right name because air flows through all of it. This polyester/mesh jacket is equipped with CE armor, plenty of pockets, and a snap-in TPU liner that can stow away when things cool off. The Venturi flows air to keep you comfortable and back up the comfort with CE armor to help keep you protected. It comes with a snap-in TPU liner that blocks wind and folds up small enough to fit into your pocket in case you need it late in the night. 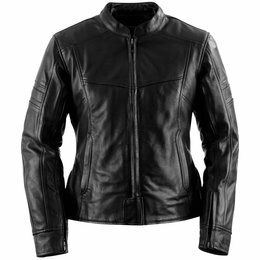 Let the world know you are empowered and ready to be a rider or passenger who knows where she wants to be with the Mantra jacket. A well-written, empowering mantra that fills the angel wings on this top-grain sheep leather, two-way stretch nylon chassis. Inside, you find the Mantra spelled out in the liner just to make sure people know what you're saying. The Compression jacket is made from top-grain leather and, simply put, is great-looking. 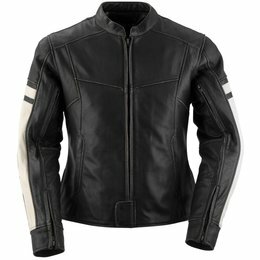 Sleek styling, a very cool leather racing stripe overlay, and plenty of hidden pockets and vents for functionality that matches the good looks. 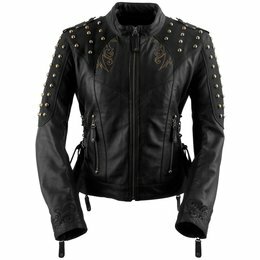 Rebel against the boring with the Vintage Rebel jacket. 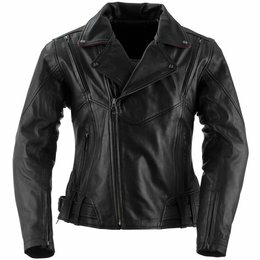 Constructed from top-grain leather with a distressed finish to give the appearance of years in the sun, the Vintage Rebel has functional vents, YKK zippers, multiple pockets, and discreet reflective trim on the back panel for a safety boost with style. 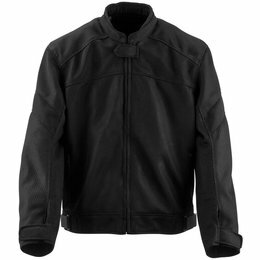 The Eternity KoolTek jacket is about to become your favorite riding jacket. 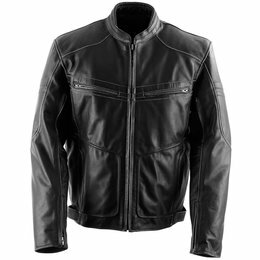 Built from top-grain Kool-Tek leather, it will stay 20 degrees cooler in sunlight than regular leather jackets. 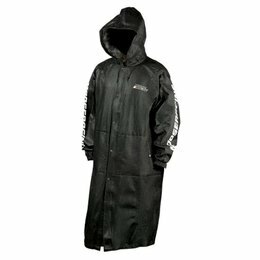 With zippered vents and a '37.5' inner liner designed to wick moisture ad odor, and the Eternity KoolTek jacket will keep you comfortable in warm weather. When it cools off, just snap in the removable quilted liner and keep riding. The Fahrenheit KoolTek features amazing technical features starting with KoolTek, a process in which the top-grain leather is treated to resist the sun's heat and stay about 20 degrees cooler than traditional leather on a sunny day. 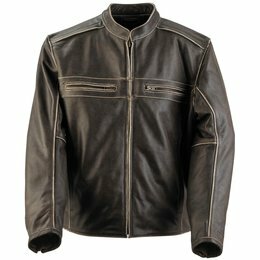 Inside, you find supple, flexible D30 armor and a '37.5' moisture and odor wicking liner, making it the best, most versatile leather riding jacket you have ever owned. Empower yourself with the classic styling of the Enchantress. Top-grain leather and stout YKK zippers make a bold statement of strength, while two sleeve vents and a massive vent across the back allow you to stay cool on a hot day. 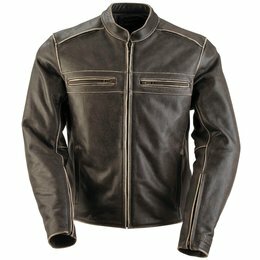 Nothing says 'cool motorcycle jacket' like the classic styling of the Neanderthal. Top-grain leather and stout YKK zippers make a bold statement of strength, while two sleeve vents and a massive vent across the back allow you to stay cool on a hot day. 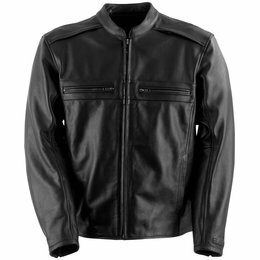 The Killer jacket is made from top-grain leather and has sharp looks that reinforce its name. 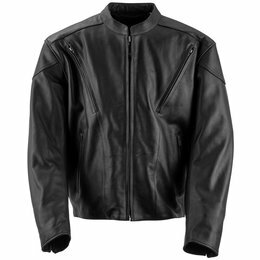 Designed to fit right when you go fast, the Killer has an action back to make riding a motorcycle, or holding onto your girl, a comfortable way to spend a day. The Charmer jacket fits like you have been wearing it for years, right off the hanger. 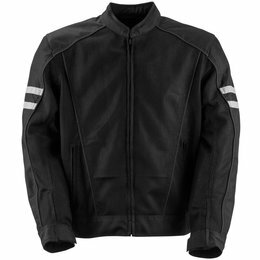 Built from top-grain leather, it features well-placed vents, plenty of pockets, and stylish incorporation of reflective material to enhance your nighttime safety on the bike. 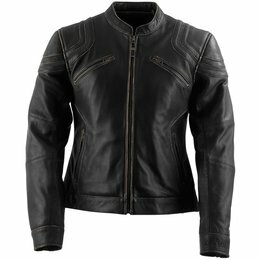 When you want a top-grain leather womens motorcycle jacket with just a little extra 'girl' to it. The Sapphire jacket is the perfect choice. 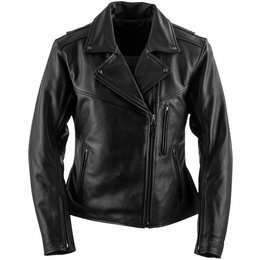 It blends traditional biker styling with fashion elements like a pink leather collar underside and adjustable waist side belts. 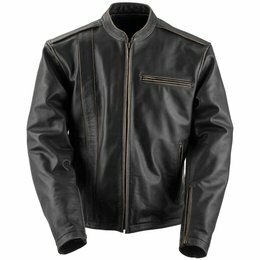 The Cutthroat jacket combines the quality of top-grain leather with styling details that make this look the jacket you have ridden in for the past 10 years. Good looks aside, the Cutthroat features a rolled collar, functional vents and a snap-out quilted liner to make it your go-to jacket all year long. 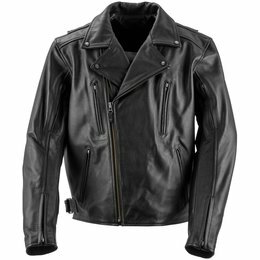 The Two Lane jacket is made from distressed top-grain leather, making it look like you have spent years on the road. 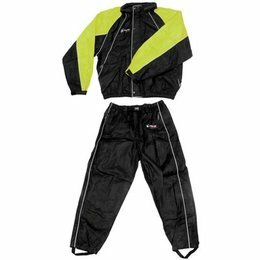 From the first day you zip the YKK zipper and swing a leg over your bike, the Two Lane will feel like an old, trusted friend. 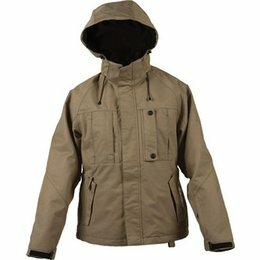 Steeze and all-weather protection are not mutually exclusive. 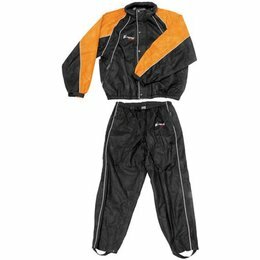 Inspired by the rally jackets of our heroes, the UX is constructed with a four-way stretch Hycor waterproof/breathable chassis. 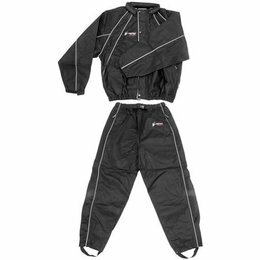 Completely seam sealed, it provides an all-conditions envelope for dual sport riders. The athletic fit provides mobility, durability and a new paradigm in the ADV scene. A quilted, removable liner has mesh panels located just behind mechanical vents for air movement. Removable hood protects from the rain and unfortunate helmet hair, while a full D30 impact protector package does the dirty work.